Love your way of thinking NC., the colours are glorious and the image adorable. Such a fab card. Thanks for sharing it with us over at CCC Digi Creations. Awww.....this guy is adorable! Love your coloring too. He's precious!!! Love your beautiful coloring on this and in fact, love your whole card! Oh how beautiful is this! I do love the image and gorgeous card design. Excellent fussy cutting of the arm, Connie! Thanks for entering at AAA Cards! What a cute card! The image is so cute and Your coloring is very nice! 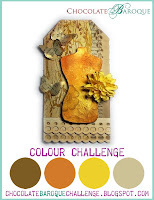 Thank you for joining the Crafts Galore Encore Challenge "Make a Card". Hope to see you again! Good luck! This is darling and a great use of the colour palette. 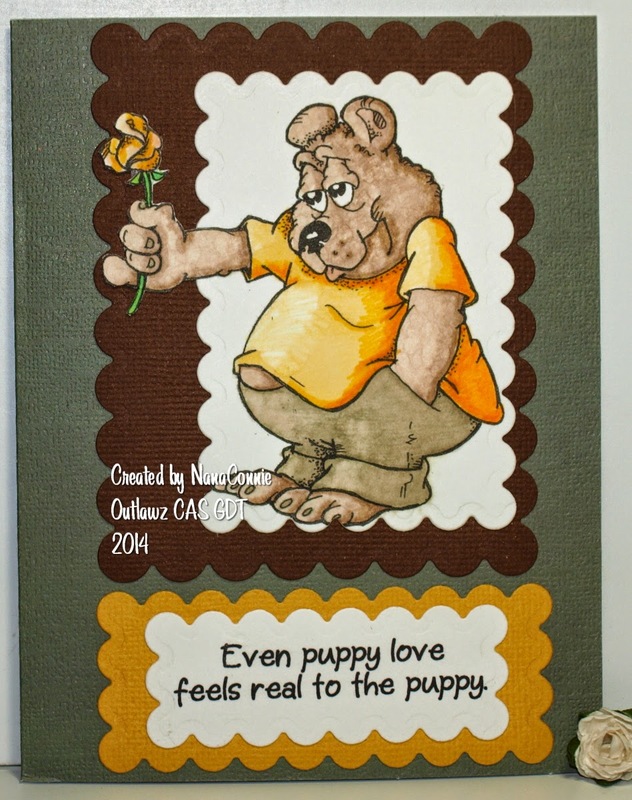 Adorable adorable adorable and I love using scraps! Bravo! Adorable image, esp. with that little belly roll sticking out from under his shirt. Are you sure that's a puppy? Looks more like a bear to me. Fun card. Fab card! Thanks for joining us at QKR Stampede this week. Hugs, Susanne. Awww! How adorable and so beautifully coloured, NC. Wonderful job! Very Very cute image. It is super the way it is all pulled together. Love it and the coloring is awesome. Great Autumn Card great Colours and Design.